Outage management platforms and other technologies deployed within the electrical utility space are often celebrated for the operational improvements they facilitate. This praise is worthy indeed, as these innovations have engendered transformation across an entire sector, allowing power providers to achieve better visibility in the field and form stronger connections with customers. These digital assets have been effective in solving many of the operational problems that once faced modern utilities. However, this technology has the potential to address another more significant issue affecting electric companies, one that extends far beyond grid management or service delivery: lagging workforce growth and development. The electric power generation, transmission and distribution space employs more than 387,000 workers, according to recent research from the U.S. Bureau of Labor Statistics. Many of these employees hold highly technical roles that require them to manage complex service delivery fixtures. As a result, most have either obtained college degrees or navigated demanding apprenticeships – experiences that give them the base knowledge they need to maintain critical public utility assets that serve tens of thousands, the Department of Energy reported. In addition to these technical skills, utility workers often boast years of hands-on experience. In fact, individuals between the ages of 53 and 57 constitute the largest percentage of active power industry personnel, according to the DOE. While good for current customers, who can rely on seasoned professionals to manage their respective swaths of the electrical grid, this state of affairs presents serious problems for the future of the industry. These older workers are nearing retirement age, meaning a mass exodus of talent is likely to unfold in the very near future. This development, along with the increasingly complex operational demands linked to new more advanced smart grid technology, will necessitate an influx of more than 100,000 new utility workers by 2030, DOE analysts found. Only 25,000 employees will be available to fill these roles, laying the groundwork for a long-term talent shortage. Unfortunately, this is only half of the problem. If there were enough young utility workers to fill 100,000 open positions at power providers across the country, training these new employees to function as effectively as their predecessors would take years. For example, the average linemen trains seven years or more before becoming an established field technician, according to the DOE. With the growing labor shortage, utility companies simply do not have enough time to educate new workers. Even if replacements enrolled in apprenticeships today, most would still see drastic staffing losses and operational decline. "An influx of more than 100,000 new utility workers must occur by 2030." Digital technologies could be the answer to this problem, according to a report from Deloitte. How? Analysts pinpointed several key operational areas that cutting-edge innovations could improve and thereby bolster workforce growth and development. Branding is the first realm that can benefit from digitization and boost recruitment efforts. When utilities present appealing public profiles, they are more likely to attract talented team members who can occupy the voids left by retiring linemen. Talent development is another operational sphere ripe for digital transformation. Electric companies that implement online onboarding, training and succession tools can quickly bring new workers up to speed and create internal talent pipelines that give them the ability to maintain ideal staffing levels, even in the face of talent shortages. Perhaps the most consequential area the researchers at Deloitte mentioned in the report was field operations. Power providers that embrace leading-edge operational models centered on the latest technology give themselves the opportunity to fight the growing shortage of qualified electrical workers on multiple fronts. 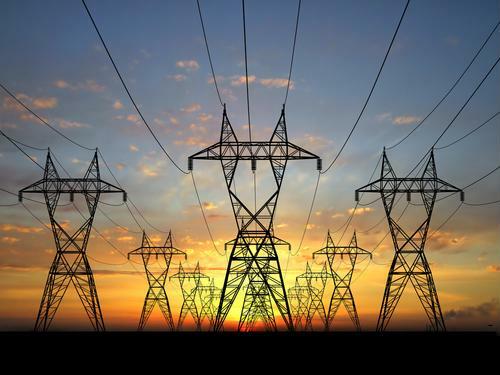 First and foremost, outage management systems and other field-based digital assets bolster grid management and emergency response operations, allowing for the implementation of automated, data-backed workflows that support streamlined external response efforts. Secondly, these tools often come with pre-installed outage documentation features which can be used to create instructional exercises for new hires, expediting drawn out training processes. Lastly, utilities that boast the latest innovations fair better within the recruitment arena than their more traditional counterparts. Millennials have driven much of the operational change that has unfolded in the utility space, demanding that service providers leverage the latest technology to improve the customer experience, according to Accenture. The same scenario is unfolding in the hiring and recruitment world, Utility Dive reported. Digital-savvy candidates prefer to work with employers that have implemented the latest and greatest backoffice and field technology, meaning electric companies must embrace digitization to even have a shot at bringing talented replacements to take over for retiring linemen. Utility companies looking for ways to survive the forthcoming worker drought must consider adopting the latest digital technology, as it is likely they key to sustaining healthy staffing levels and continuing to provide world-class services. Organizations prepared to embark on this journey should consider connecting with dataVoice International. We help utilities across the country develop and deploy modern operational workflows based on the cutting-edge technologies, such as OMS software and customer- and linemen-facing mobility suites. Contact us today to learn more about our solutions and how they might benefit your utility. Next Next post: Can blockchain technology transform the U.S. power grid?